Is Responsibility A Trait That People Are Responsible To Have? After reading an article about a man who when climbing Everest was in the “Death Zone” came across a body which was still moving, that 10’s of other people walked past and stepped over, as well as the book Into Thin Air, we had to write a paragraph in response to the question if responsibility is except able to forget when you are in a situation where it would risk your own life, below is my response to this question. Responsibility is a necessity that every child is taught to feel and carry out almost every day throughout their young life. As adults this feeling of responsibility should be considered no matter what situation people can find themselves in; either simply helping someone out, or as big as being trusted with clients lives 8,000m up on Everest’s peak. In Jon Krakauer’s Into Thin Air Rob Hall is the man trusted taking 10 clients to the top of the mountain, with as few casualties as possible. When Krakauer first hears about hall, he is informed that “[Hall] carefully weeds out clients with dubious ability, meaning he protects each of us…” Before Krakauer first meets Hall, he knows that Hall is extremely responsible when choosing who can go on the expedition. 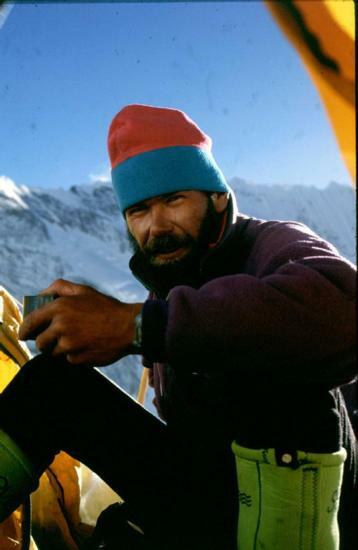 Hall’s feeling of responsibility can be seen quickly diminishing when on the “Death Zone” of Everest; the “Death Zone” is considered anywhere about 20,000 feet. Every climber that comes back down can tell you that as soon as they neared the “Death Zone” they no longer felt as much responsibility towards the other climbers. One climber however stands out, Andrew Brash who was on his 2nd expedition up the mountain, after an unsuccessful one. Brash and his team, spotted a body, later found out to be Lincoln Hall, which was still moving within the “Death Zone.” Both Brash and the rest of him team abandoned their climb to help a stranger on a mountain. In an interview Brash stated “[The rescue] was the only thing to do.” An incredible amount of responsibility can be seen here, the fact that several people, gave up any chance of reaching the summit, as well as risking their own life, to save a man they had never seen before. Unfortunately there are also cases where responsibility are forgotten, an example of this is when Krakauer was in the “Death Zone,” he walked past several bodies, which could have been saved. He now recalls that “We were too tired to help. Above 8,000 metres is not a place where people can afford morality.” Krakauer, a man who had previously risked his life in a rescue attempt tells us that he and his group decided not to help. Responsibility is something, more often than not, forgotten in dangerous situations. There are many cases where responsibility is forgotten, but there are also the people who forget whatever they are doing, and go out of their way to help people in need. Responsibility isn’t just something people expect us to have, but it’s something that we should all feel that we have and need. People should feel the need to be responsible no matter what situation they find themselves in; for example simply helping a friend or stranger out. Or being as big as protecting clients lives 8,000m up Everest. In Jon Krakauer’s Into Thin Air Rob Hall is the one responsible for bringing roughly ten people up to Everest’s peak with as few casualties as possible. The first time that Krakauer hears about Hall, he finds out that “[Hall] carefully weeds out clients with dubious ability, meaning he protects each of us…” Showing Hall was extremely responsible when choosing the people that could go on his expeditions. This feeling of responsibility however is when Hall is not in the “Death Zone” of a mountain. The “Death Zone” is considered anywhere above 20,000 feet, almost every person that climbs mountains feels that in this zone they are only responsible for themselves. However, on the other hand, there is Andrew Brash. Brash felt much differently, on Brash’s second attempt at climbing Everest his team and him came across a body, later found out to be Lincoln Hall, which was still moving within the “Death Zone.” Brash abandoned his chance to reach the peak to help a stranger on a mountain. In an interview he stated “[The rescue] was the only thing to do.” Brash in this situation showed a huge amount of responsibility, in the form of giving up his chance of reaching the peak, as well as risking his own life to help a complete stranger. There are also many cases when responsibility is unseen. While Krakauer was in the “Death Zone”, he walked past several bodies; he now recalls that “We were too tired to help. Above 8,000 metres is not a place where people can afford morality.” Krakauer, a man who had previously risked his life in a rescue attempt, was telling us that he and the people in his group decided not to help. Responsibility is simply something, more often than not, forgotten in dangerous decisions, along with all the negative examples of this, there are also examples of people who don’t care where they are or what they’re doing, and they will go out of their way and help people. Is Rob Hall An Absolute Climber? After reading the book Into Thin Air, we had to look through the book again and find different lines of text that give a description of a specific character, the character that I decided to take a closer look at was the leader of the exhibition Rob Hall. We also had to use the descriptions that we found to give a general description of the character, through the use of what I found I concluded that Rob Hall was an absolute climber. In Jon Krakauer’s Into Thin Air one can see that in many ways Rob Hall was the absolute climber as well as a born leader. The first time Krakauer lays his eyes on Hall he characterises him as “… six foot three or four and was skinny as a pole.” Which helps contribute to the image of Hall being a perfect climber, because he is the perfect build to be a climber. Later Krakauer refers to Hall as “an avid hill walker” and also as “… taking up rock and ice climbing as well…” One can agree that a perfect climber requires experience in almost any type of climbing, thanks to Krakauer’s statement one knows that Hall has this skill;. Bill Atkinson, an accomplished climber, informs us about “Rob’s impressive organizational skills, which were apparent even when he was sixteen and seventeen…” Indeed, any climber needs great organisation in order to have a successful climb. Krakauer informs us that “[Hall] was gregarious by nature…” being sociable is a large part in a leader; this is what makes Hall a great leader. Many of the climbers found that Hall had a “booming, contagious laugh…” Showing Hall was easy to like, and found great joy in making others laugh. When the Internet Thinks it Knows You. An Article about how people no longer have control on what they see on the Internet, but a code does. ONCE upon a time, the story goes, we lived in a broadcast society. In that dusty pre-Internet age, the tools for sharing information weren’t widely available. If you wanted to share your thoughts with the masses, you had to own a printing press or a chunk of the airwaves, or have access to someone who did. Controlling the flow of information was an elite class of editors, producers and media moguls who decided what people would see and hear about the world. They were the Gatekeepers. Then came the Internet, which made it possible to communicate with millions of people at little or no cost. Suddenly anyone with an Internet connection could share ideas with the whole world. A new era of democratized news media dawned. You may have heard that story before — maybe from the conservative blogger Glenn Reynolds (blogging is “technology undermining the gatekeepers”) or the progressive blogger Markos Moulitsas (his book is called “Crashing the Gate”). It’s a beautiful story about the revolutionary power of the medium, and as an early practitioner of online politics, I told it to describe what we did at MoveOn.org. But I’m increasingly convinced that we’ve got the ending wrong — perhaps dangerously wrong. There is a new group of gatekeepers in town, and this time, they’re not people, they’re code. Today’s Internet giants — Google, Facebook, Yahoo and Microsoft — see the remarkable rise of available information as an opportunity. If they can provide services that sift through the data and supply us with the most personally relevant and appealing results, they’ll get the most users and the most ad views. As a result, they’re racing to offer personalized filters that show us the Internet that they think we want to see. These filters, in effect, control and limit the information that reaches our screens. By now, we’re familiar with ads that follow us around online based on our recent clicks on commercial Web sites. But increasingly, and nearly invisibly, our searches for information are being personalized too. Two people who each search on Google for “Egypt” may get significantly different results, based on their past clicks. Both Yahoo News and Google News make adjustments to their home pages for each individual visitor. And just last month, this technology began making inroads on the Web sites of newspapers like The Washington Post and The New York Times. Like the old gatekeepers, the engineers who write the new gatekeeping code have enormous power to determine what we know about the world. But unlike the best of the old gatekeepers, they don’t see themselves as keepers of the public trust. There is no algorithmic equivalent to journalistic ethics. Mark Zuckerberg, Facebook’s chief executive, once told colleagues that “a squirrel dying in your front yard may be more relevant to your interests right now than people dying in Africa.” At Facebook, “relevance” is virtually the sole criterion that determines what users see. Focusing on the most personally relevant news — the squirrel — is a great business strategy. But it leaves us staring at our front yard instead of reading about suffering, genocide and revolution. There’s no going back to the old system of gatekeepers, nor should there be. But if algorithms are taking over the editing function and determining what we see, we need to make sure they weigh variables beyond a narrow “relevance.” They need to show us Afghanistan and Libya as well as Apple and Kanye. Companies that make use of these algorithms must take this curative responsibility far more seriously than they have to date. They need to give us control over what we see — making it clear when they are personalizing, and allowing us to shape and adjust our own filters. We citizens need to uphold our end, too — developing the “filter literacy” needed to use these tools well and demanding content that broadens our horizons even when it’s uncomfortable. It is in our collective interest to ensure that the Internet lives up to its potential as a revolutionary connective medium. This won’t happen if we’re all sealed off in our own personalized online worlds. Does Facebook Change We Way We Talk to People in Person? After reading an article about an adult who recently discovered Facebook, and was thinking about if having people on Facebook helps to add to your real life conversations. The example that Lisa Selin Davis uses is a friend that she use to have face to face contact with, but now their friendship is only being continued in the online world. She stated that after some time they decided to meet in person, and she was surprised that they knew so much about each others lives despite not meeting in person for nearly 24 years. In “Does Facebook Replace Face Time or Enhance it?” Lisa Selin Davis states that “After 24 years, our friendship in now relegated to the online world…” This statement leans towards both sides of the argument on the question that the title poses, however it leans more to the side saying Facebook does help. What gives this impression is that it is fairly impressive that Davis still has contact with her friend after such a long time, something that would be very difficult without the use of a social network. After reading this article I decided that I would ask my parents, who neither of which had ever been on Facebook, if they were still in contact with their high school friends from around 20 years ago. Unsurprisingly neither did, once I had asked them, I acquired the names of a few names that they still remember. After around 10 minutes of searching I managed to find 6 out of the 9 they had remembered, who now my parents have had conversations with after losing contact for 20 years through the use of Facebook. Davis later states in the article “… even though you are neglecting people in the flesh,” this statement however is false, as one of the main uses of Facebook is for people to plan to get together. Reading the article also brought up the question of the difference between Facebook chat and emailing or phoning people. The main fact is that they are almost identical, besides the instant reply of Facebook chat, also the argument that phoning you hear the person’s voice can easily be refuted with the fact that Facebook has a video chat feature, where you can not only hear the person, but also see them. So the overall reply to the title is that Facebook doesn’t replace face time any more than emailing or phoning did. In “Does Facebook Replace Face Time or Enhance it?” Lisa Selin Davis states that “After 24 years, our friendship is now relegated to the online world…” This may be a true statement, but what are the chances that she and her friend who she was referring too in the quote would still be in contact without the use of Facebook after all of those years? 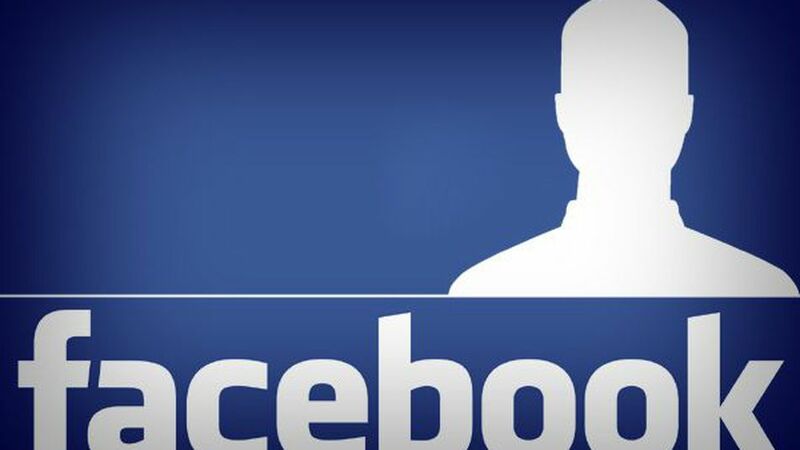 A few days ago, just after reading the article, I asked my two parents, who both have never had a Facebook account, whether they were in contact with people they went to school with 20 odd years ago. Both said that they had no source of contact with them. After I asked them this, I got them to tell me a few names of friends that they had in school, I managed to find roughly 6 out of 9 names that they remembered. Now my parents have starting having conversations with them through the help of Facebook. Later in the article in an interview she holds, the person puts forth “… even though you are neglecting people in the flesh.” The fact that makes this statement false is that the general use of Facebook is for people to plan get-togethers. Yet is instant messaging any different to E-mailing or phoning people? No, emailing is near identical to instant messaging, apart from the fact that it may take a while to get a response, and with phoning, yes you may hear the person’s voice, but with Facebook video calling you can hear the person as well as see them. Is Facebook replacing face time? No, in fact using Facebook doesn’t replace face time any more than E-mailing or phone calls.